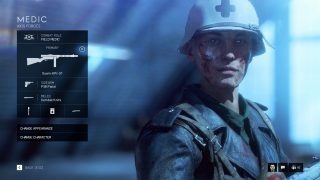 Today, we’ll focus on the Medic Class, the difference between a healthy squad and a dead squad. The Medic helps a squad survive and thrive. They keep teammates in the fight longer with rapid revives and health replenishing Medical Pouches. 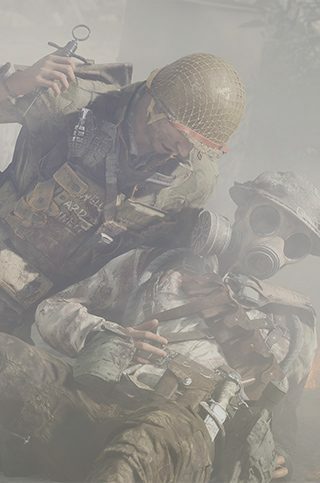 Although able to hold their own in combat with close to medium range weapons, the Medic's best weapon is the syringe, which revives any teammate faster than the new non-Medic revive available to everyone in your squad. Weapons and gadgets are set per Class, with more unlocked just by playing. Weapons can be customized as part of your Company. These are tied to Classes and provide two traits. Pick a Class and Combat Role with a loadout that suits your playstyle but be ready to make a switch at the deploy overview screen to adapt to on-the-ground situations. 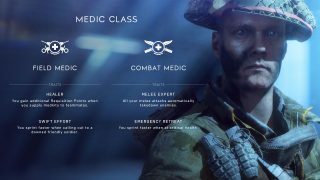 Our developers chimed in to inject some helpful tips for those playing the Medic Class.